This weekend was full of last minute shopping for me, (34th street is not the place to be a few days before Christmas). 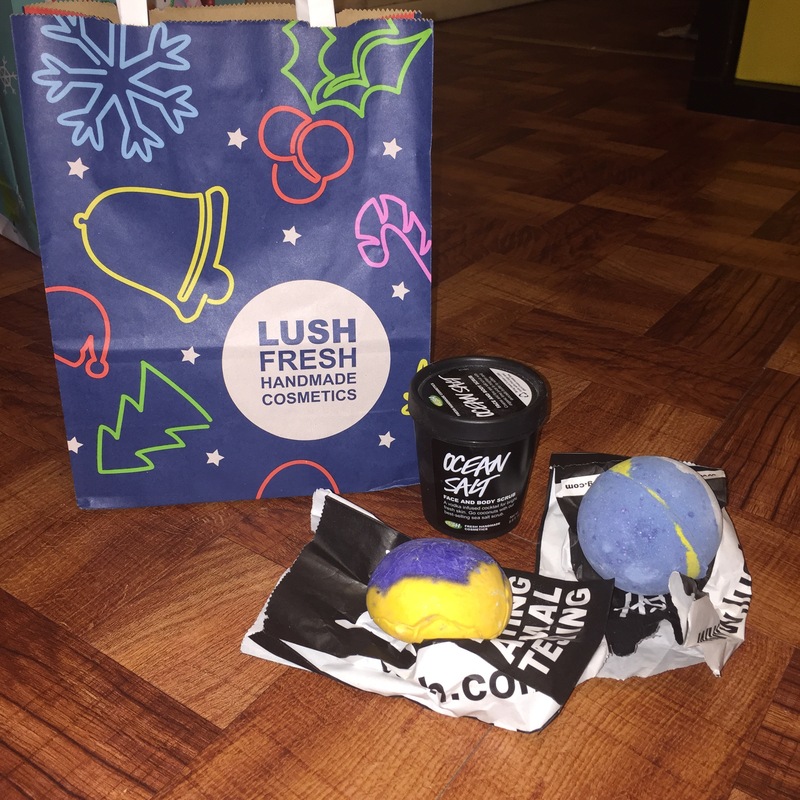 On my way to the train station I realized a Lush store had opened up, well you can all imagine my excitement as I rushed in to see what goodies I could find. Ocean salt face and body scrub is my ultimate favorite! This is the third time I’ve picked up this product it’s one of my go to staples! The sea salt buffs away the dirt and dead skin while the avocado and coconut are great for hydrating. Lastly lime and vodka add the toning and deep cleaning component leaving you with fresh and bright skin. Although it is on the pricier side this scrub in my opinion is worth every penny! Shoot for the stars Bath Bomb is a holiday edition that will begin disbursing various colors once popped into your bath leaving behind a night time silver luster and a soft honey toffee scent, sounds heavenly! Christmas Eve Bubble Bar is also a holiday edition bar made of ylang ylang and jasmine absolute perfect for evening relaxation! I have never tried any bath bombs or bubble bars and I must say I am ridiculously excited. Once I arrive to Florida I will be popping these in my moms jacuzzi. Hopefully Ari won’t get too jealous. Have any other Lush recommendations? Leave them down below!